E3 2017 - Battle of the Theme Park Franchises video game showdown - "Super Mario Odyssey" vs. "Star Wars Battlefront II"
Last week I had the pleasure of attending E3 2017 (Electronic Entertainment Expo) in Downtown Los Angeles, and while I didn’t play a ton of video games during my two days wandering around the trade show at the L.A. Convention Center, I did get to spend some time with two of the most high-profile releases coming down the pike from major publishers– “Super Mario Odyssey” from Nintendo and “Star Wars Battlefront II” from EA Games. Let’s take a look. First, a little background. As a child of the 80s, I grew up on both Mario and Star Wars, and have played many, many variations of video games set in both franchises. But my favorite Mario game of all time has got to be “Super Mario 64” (1996) for the Nintendo 64 home console, and my favorite Star Wars game is the PC/Macintosh-only “Star Wars: TIE Fighter” (1994), a great space flight simulator and one of the few games that puts the player solely in command of Imperial forces. As for next-generation consoles, I currently own both a Nintendo Switch and an Xbox, and I plan on getting both of the games I’ll be previewing in this article when they become available this fall. Now let’s take an up-close look at what the newest iteration in the “Mario” series will have to offer. 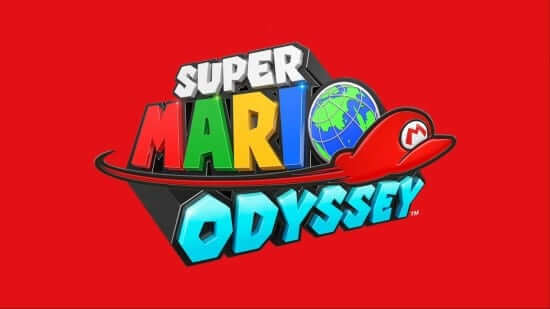 “Super Mario Odyssey” is an open-ended, exploration-based platformer starring everyone’s favorite Italian plumber. Mario travels between the Mushroom Kingdom and various other lands in his quest to once again rescue Princess Peach from his arch-nemesis Bowser. Some of the unique features in this particular “Mario” game are its occasional real-world-esque settings like New Donk City– complete with almost normal-looking human characters– and Cappy, a newly-anthropomorphized version of Mario’s hat, which our mustachioed hero can throw at character or objects to possess them. Mario can take control of humans, Goombas, certain vehicles, a Tyrannosaurus Rex, and other non-player characters. In the ten minutes that I was allowed to play “Super Mario Odyssey,” I ran around New Donk City in search of musicians to help form a band to play at a local nightclub. I was able to fling myself up the sides of buildings in an effort to further explore the area, often finding myself perched perilously atop skyscrapers and making my way carefully across moving construction girders. Mario collects coins and “Power Moons” as he progresses, marking his progress and gradually helping him complete the overarching goal. As has pretty much uniformly been the case with Nintendo’s flagship “Mario” titles, “Super Mario Odyssey” is an incredibly fun, free-wheeling adventure, and as soon as I was made to put down the JoyCon controllers I began to look forward to owning it for myself.